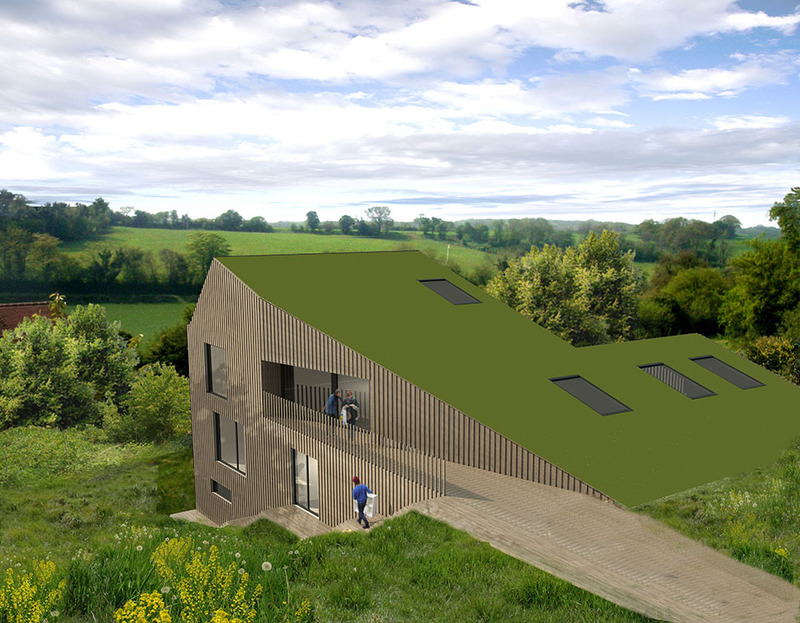 This project, located within a designated Area of Outstanding Natural Beauty, replaces a derelict farmhouse with a new six-bedroom timber-framed house with geothermal heating, planted roof and wind turbine power supply. 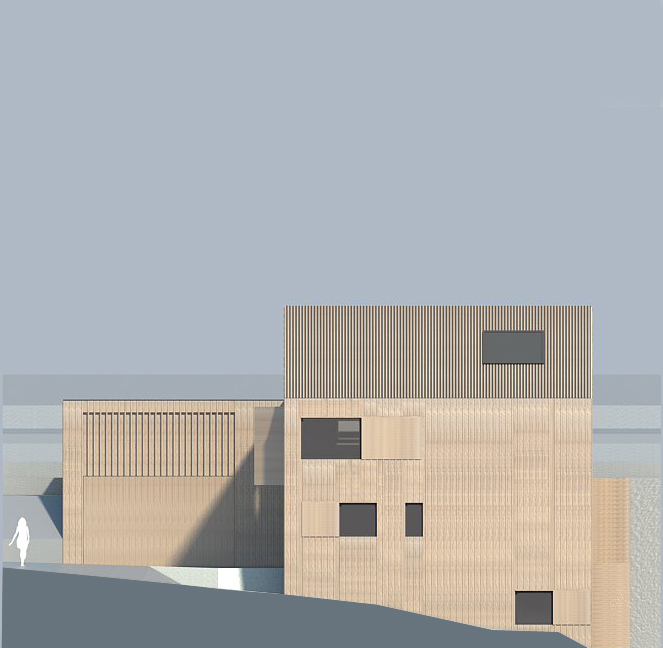 Planning policy restricted the new dwelling from extending beyond the existing footprint; however, additional floor area was achieved by sensitively incorporating the volume of the house with the hillside. 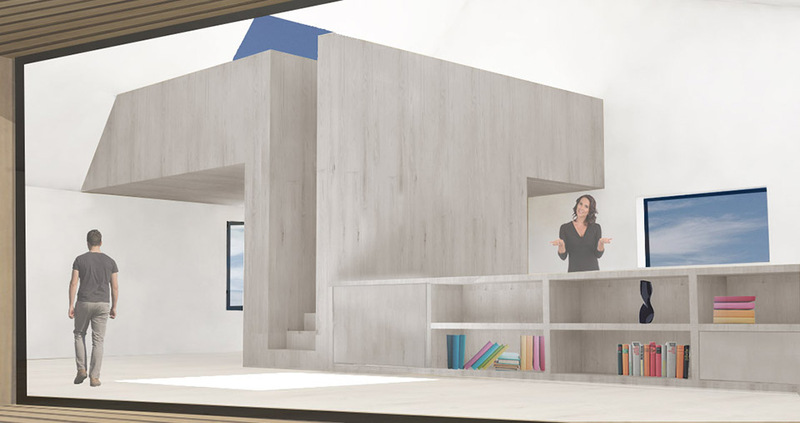 The communal living space is located on the upper levels, which include a mezzanine, and extensive open space is created by using substantial glulam beams that span the entire width of the house. The site topography provides access to the house at various levels, creating interesting relationships between interior and exterior. 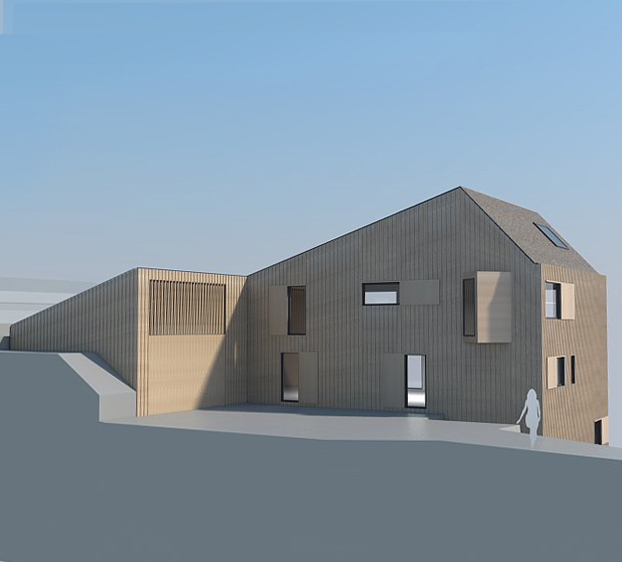 Planning permission was granted and IPTA are currently working on the detailed and technical design. Construction is due to start in 2015.